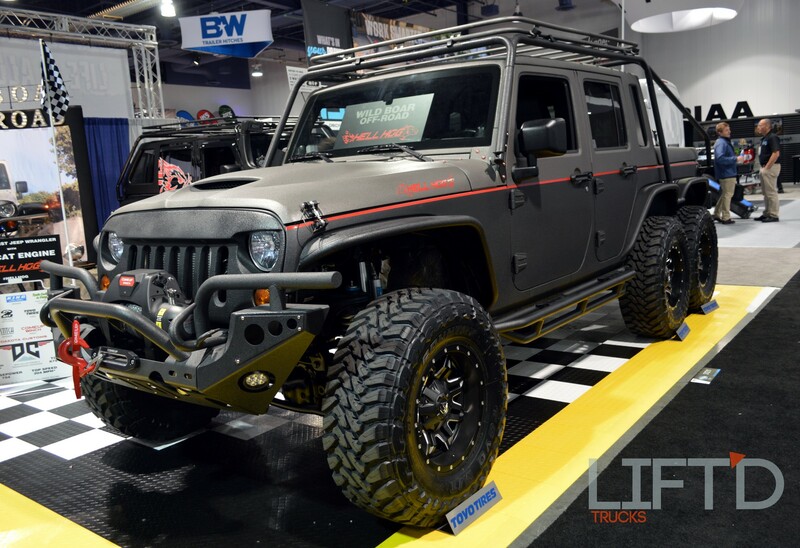 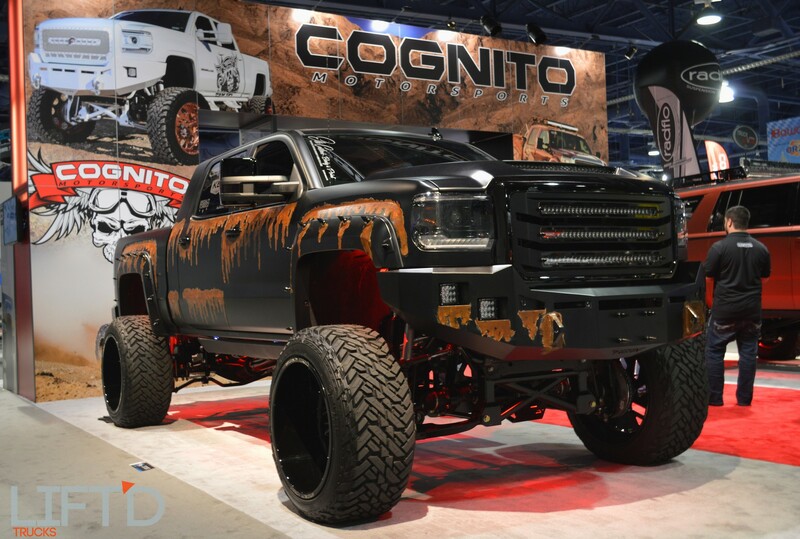 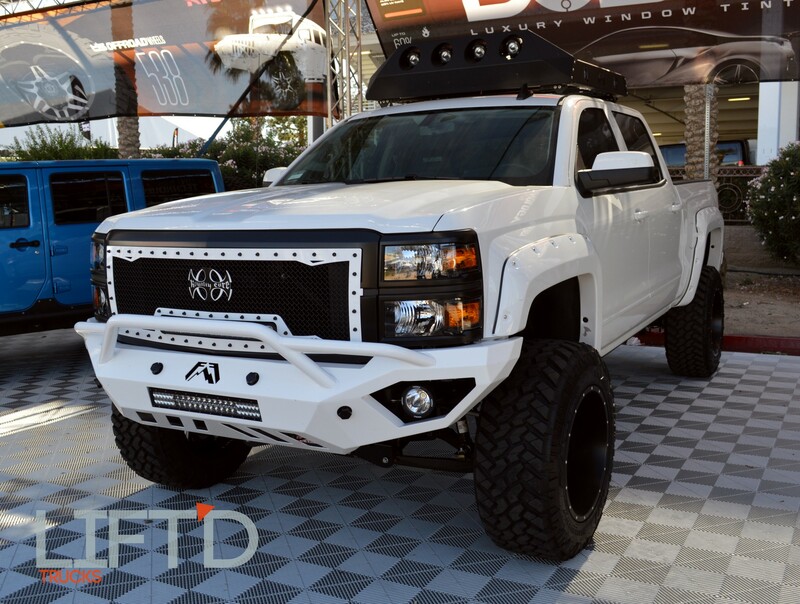 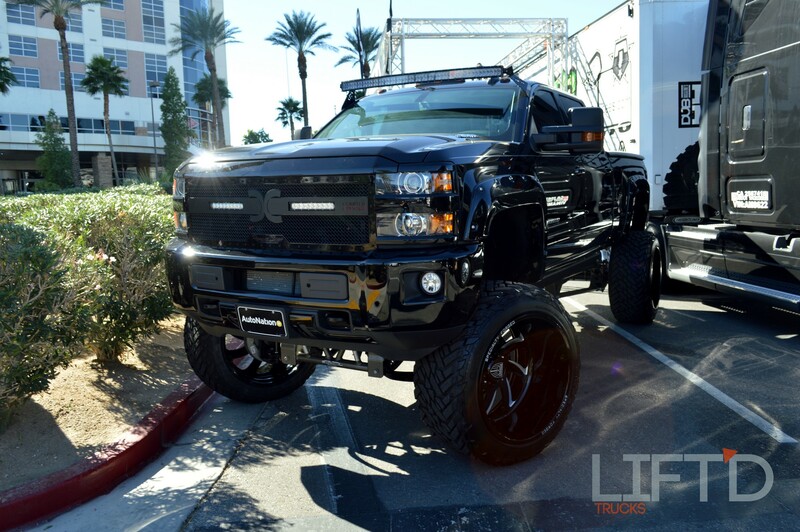 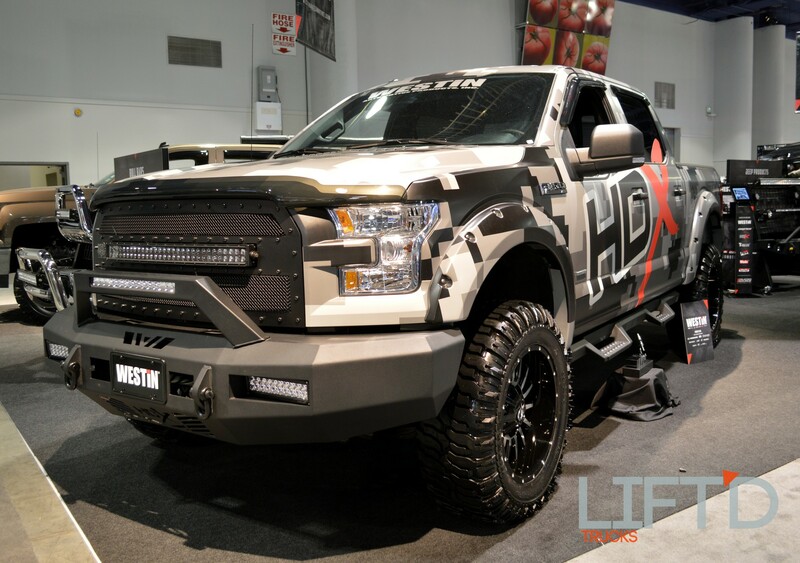 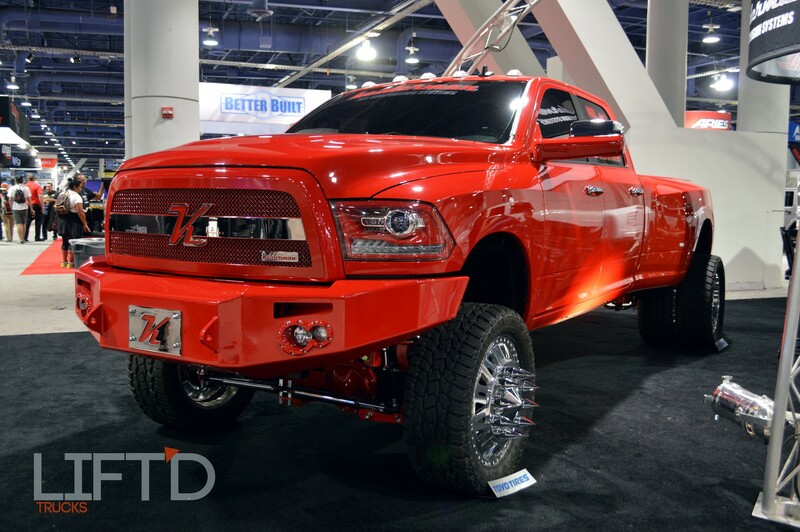 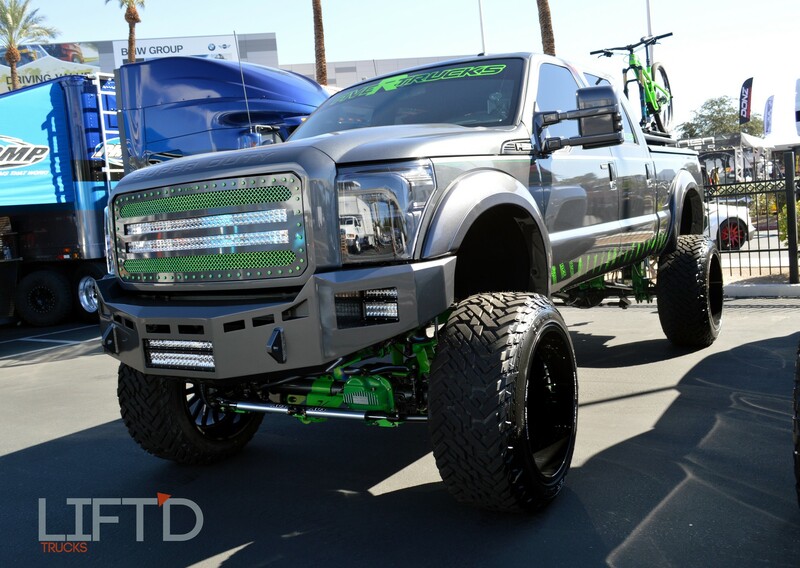 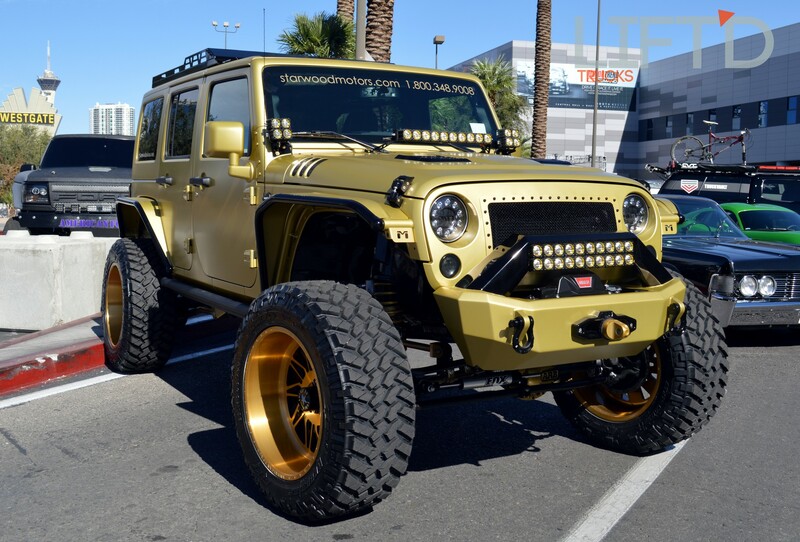 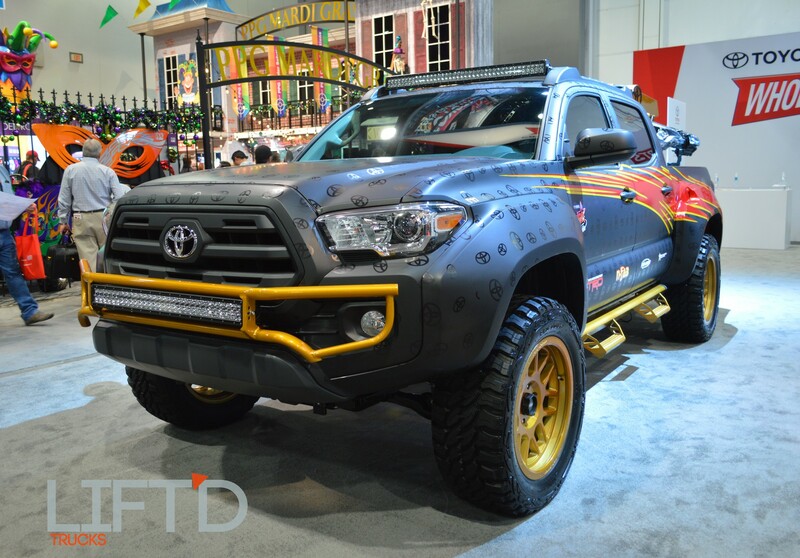 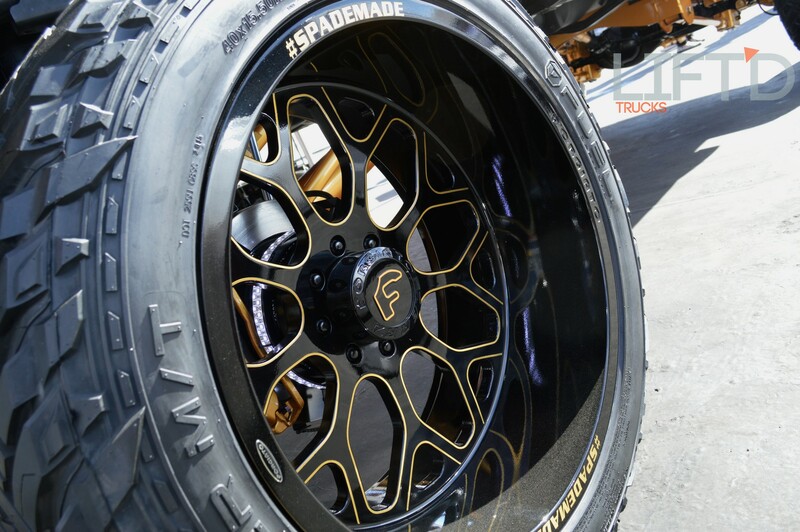 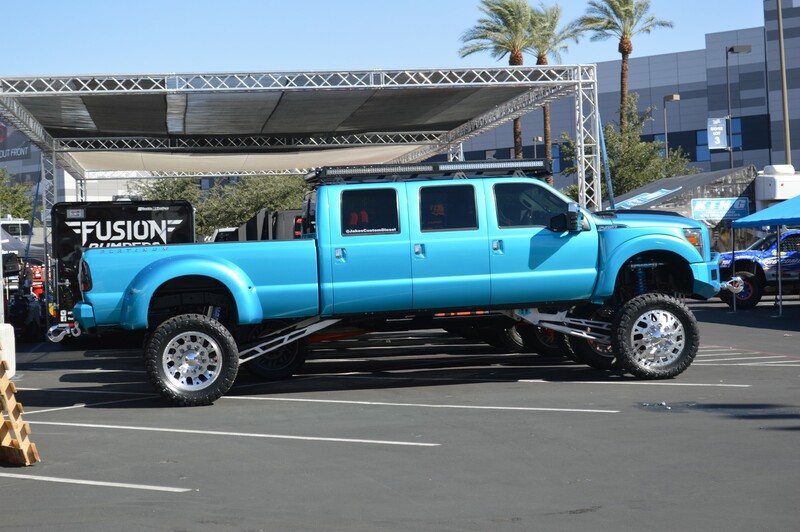 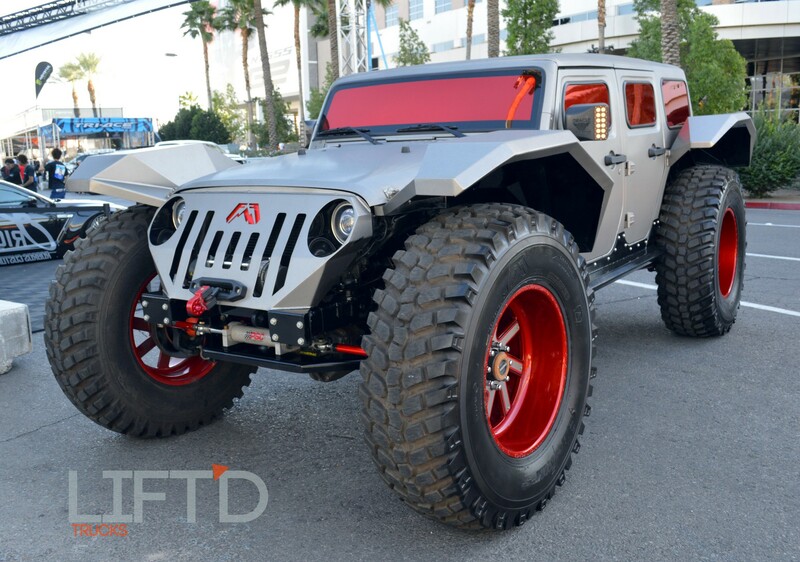 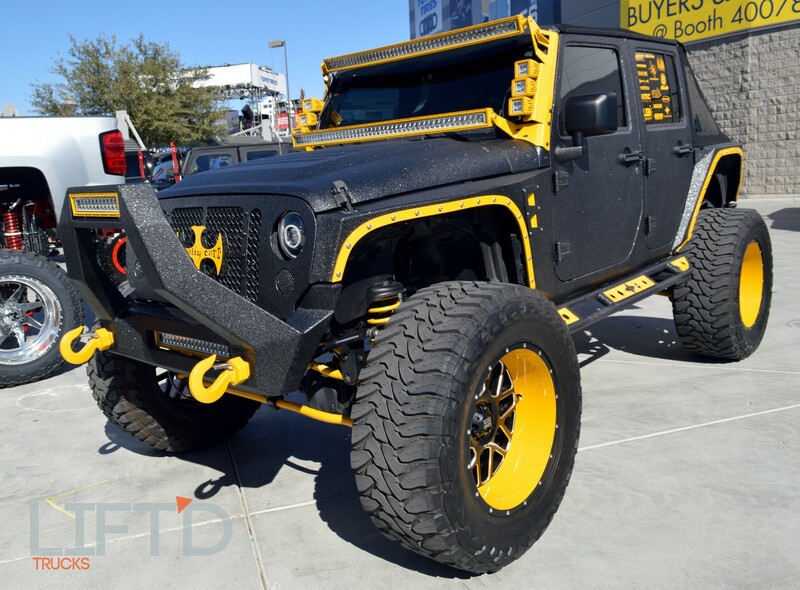 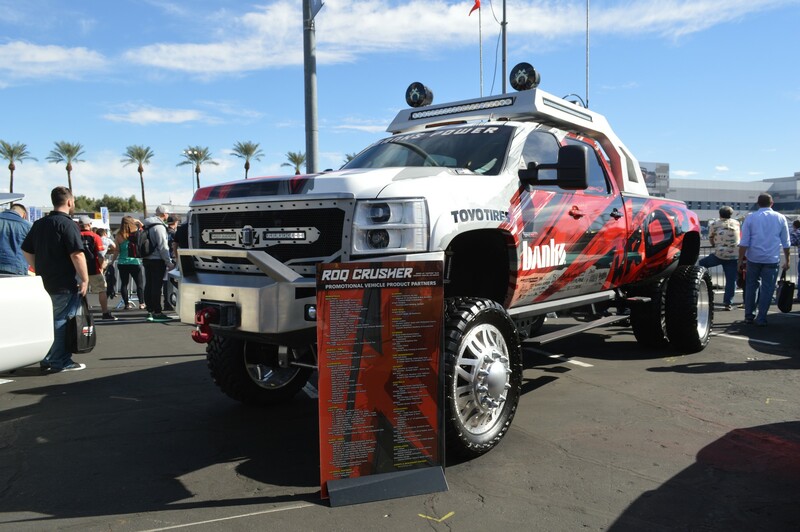 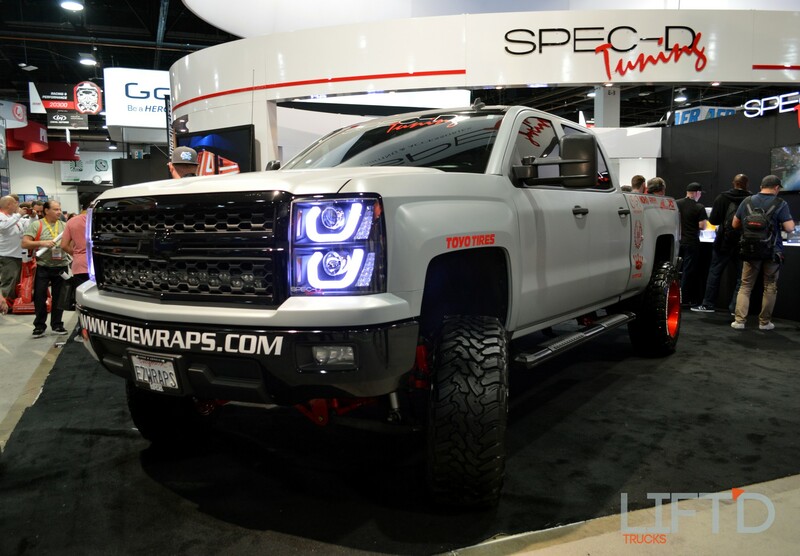 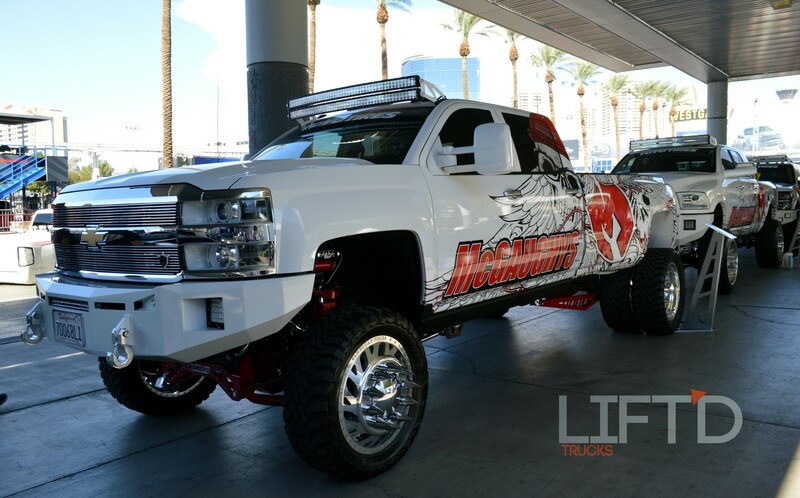 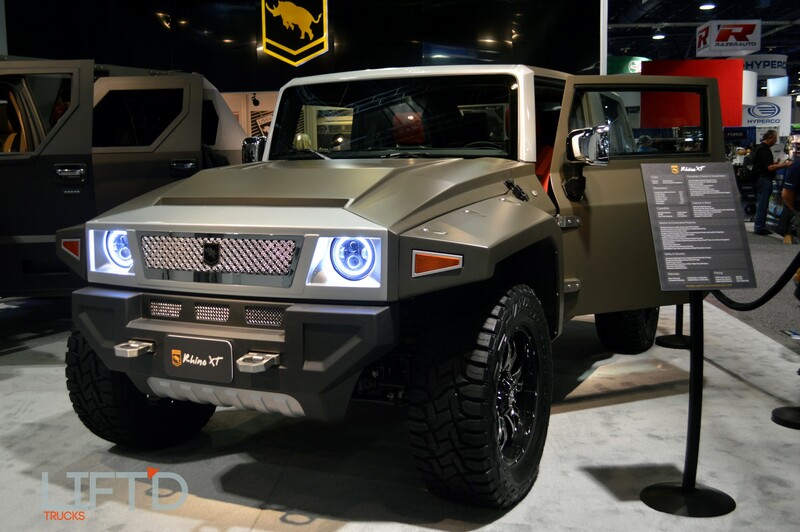 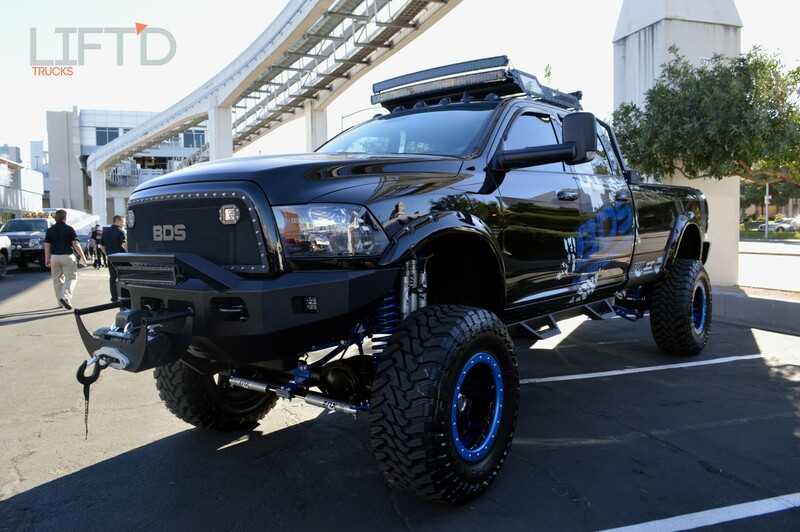 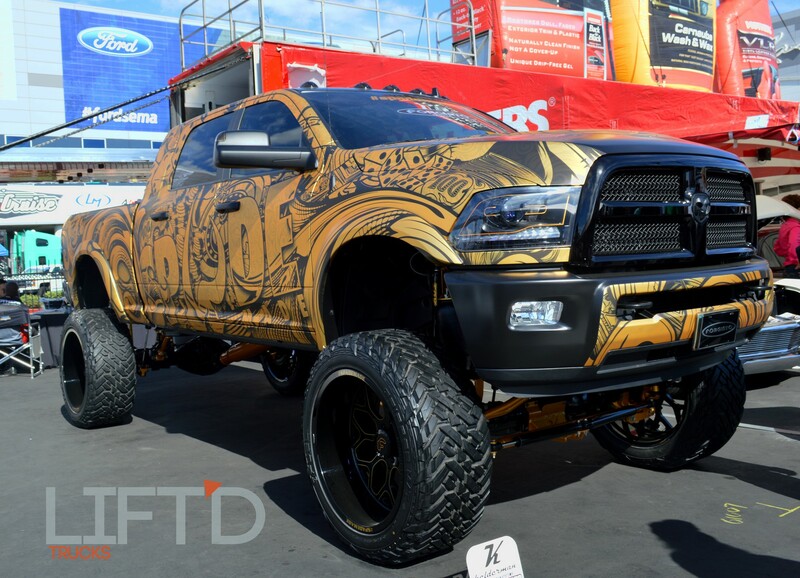 Day one of the 2015 SEMA Show is in the bag and it was definitely a day to remember! 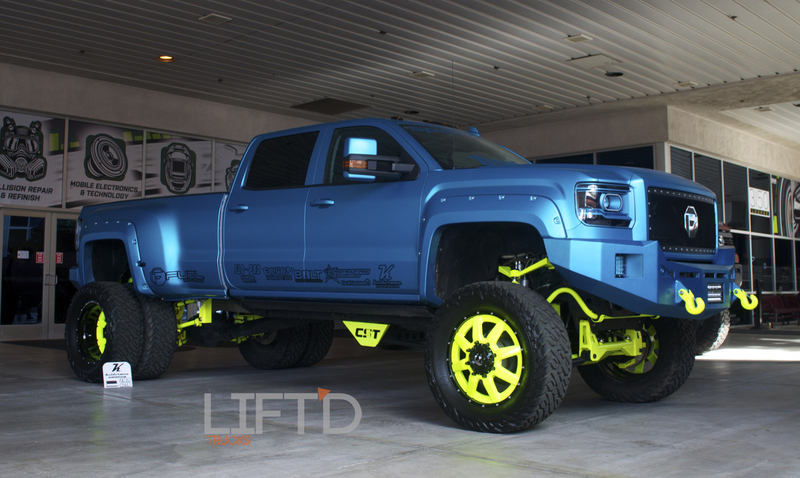 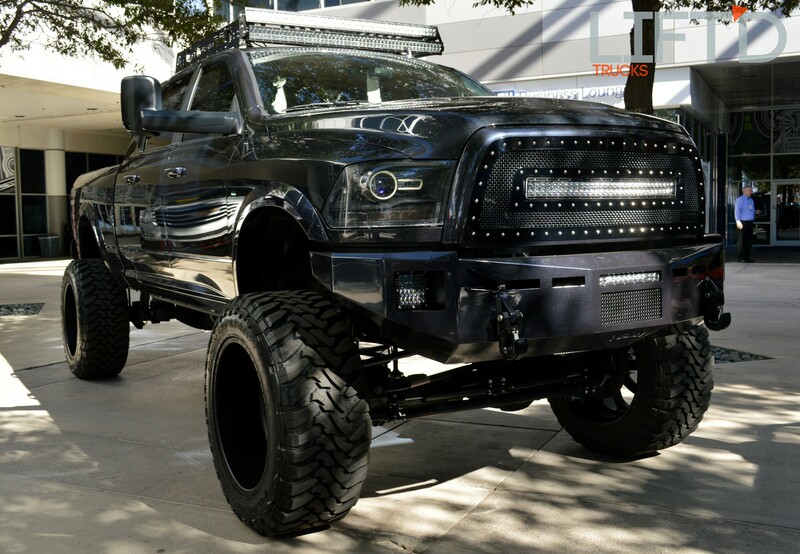 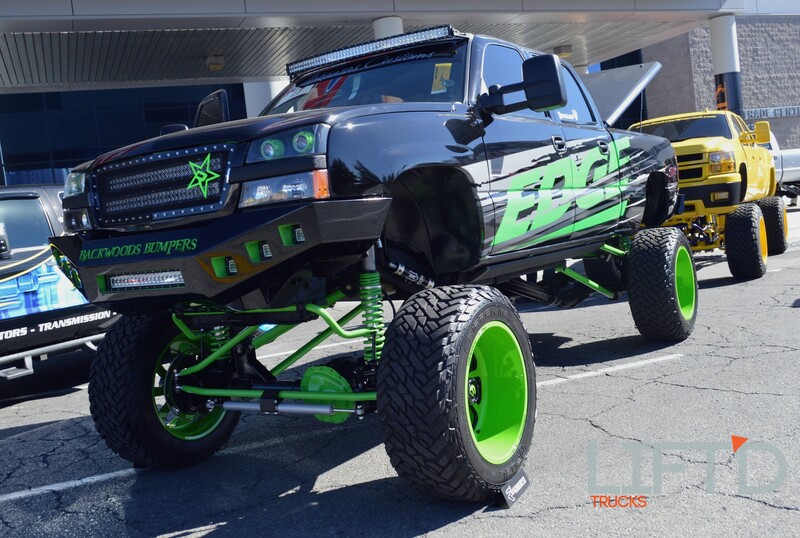 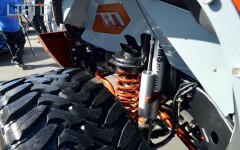 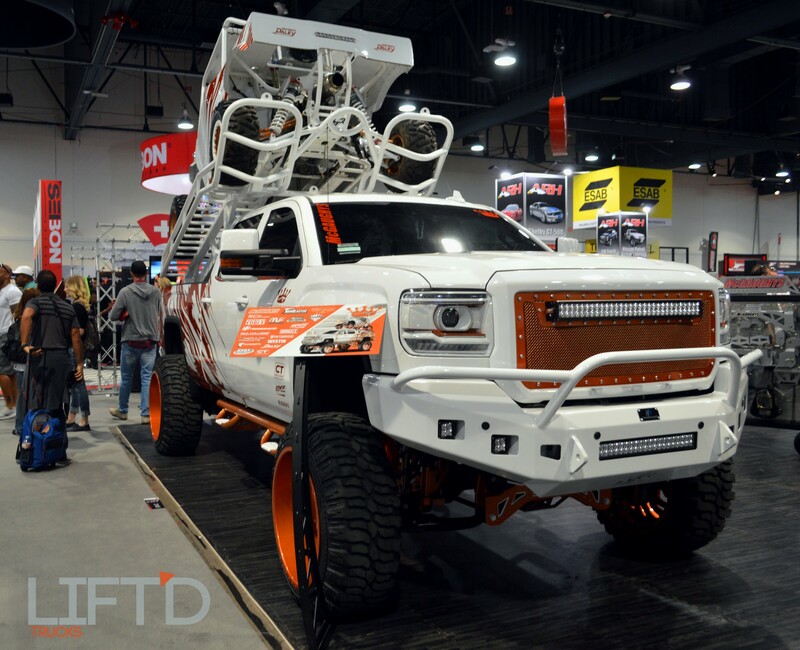 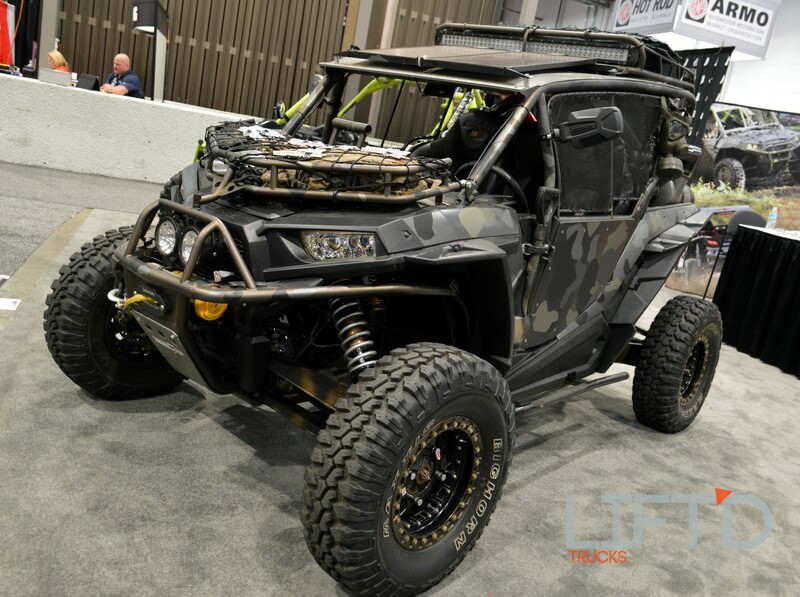 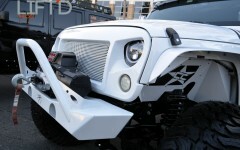 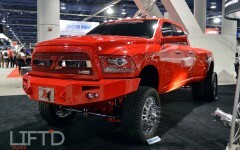 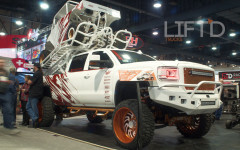 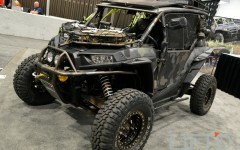 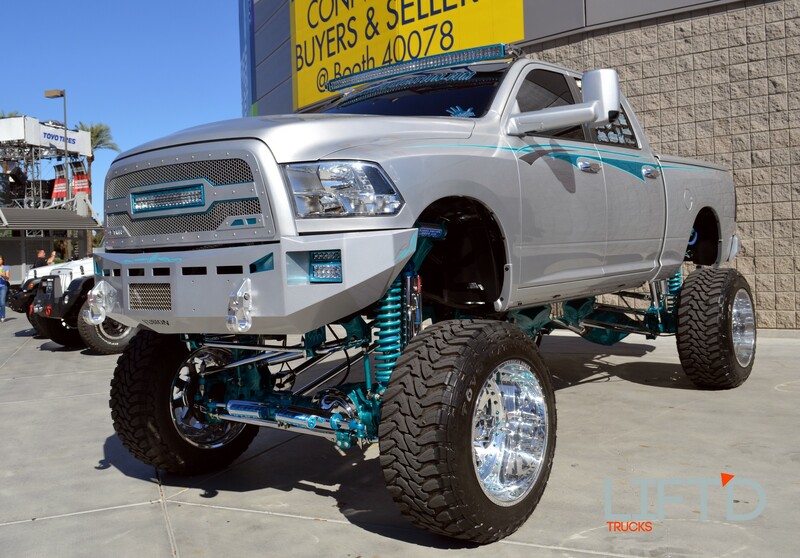 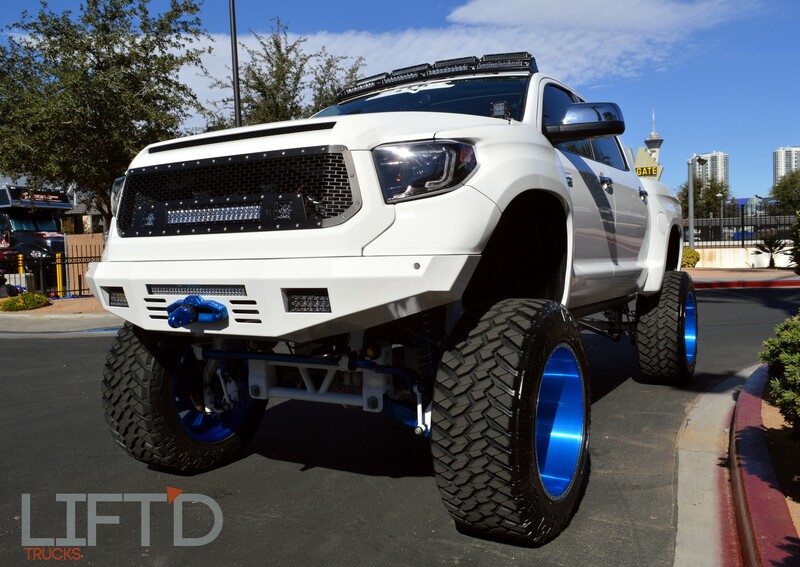 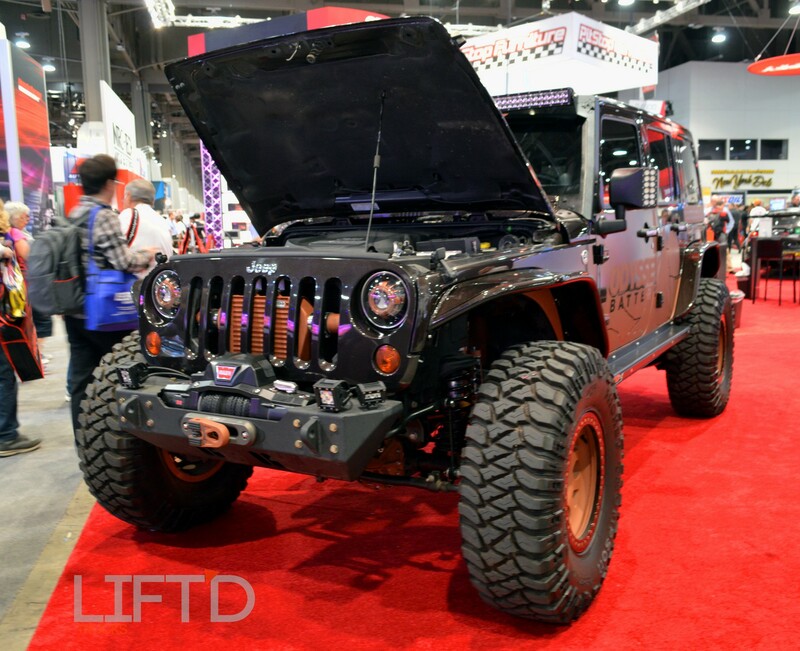 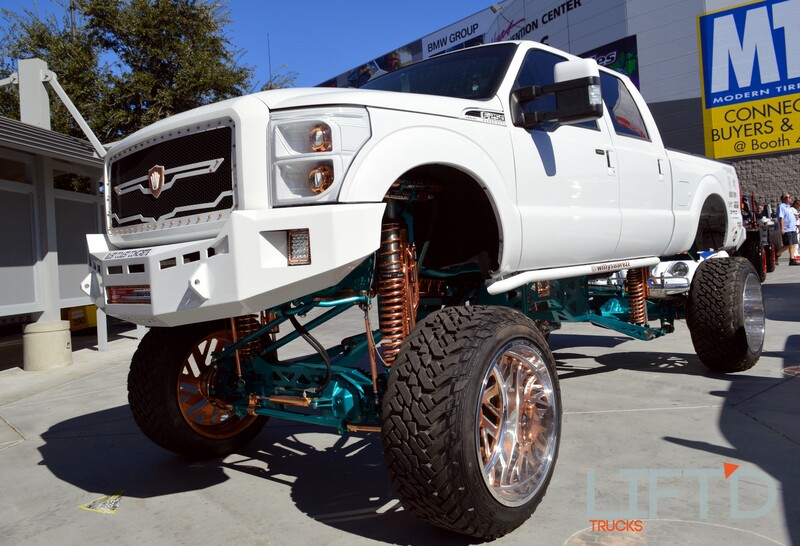 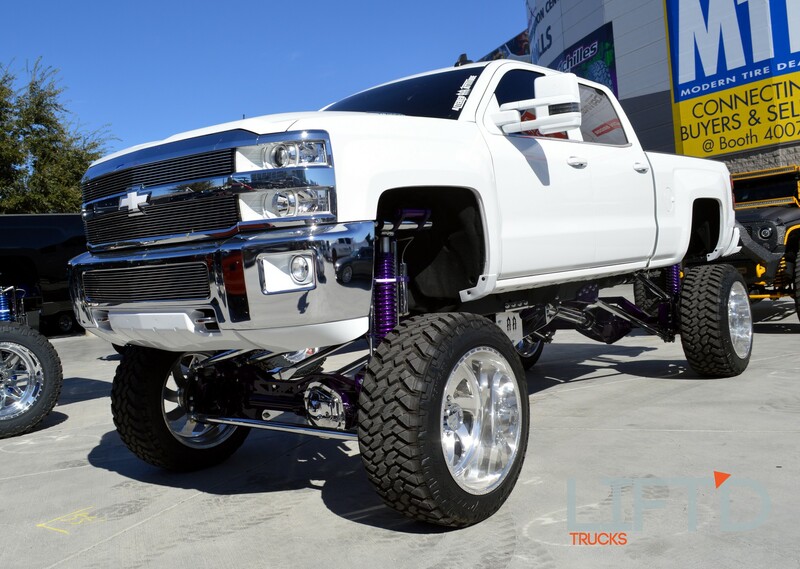 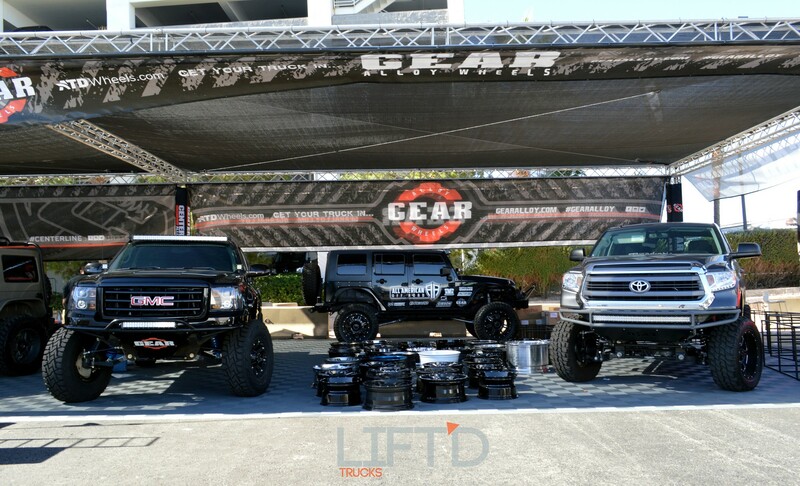 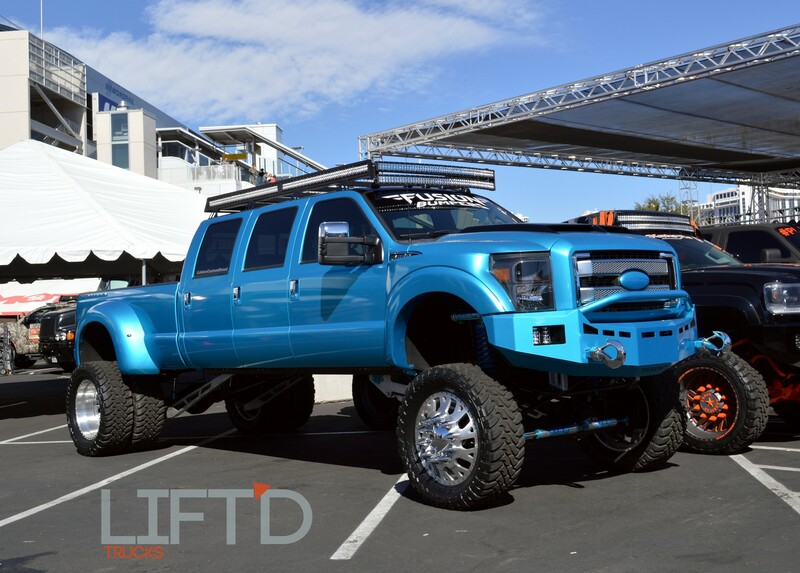 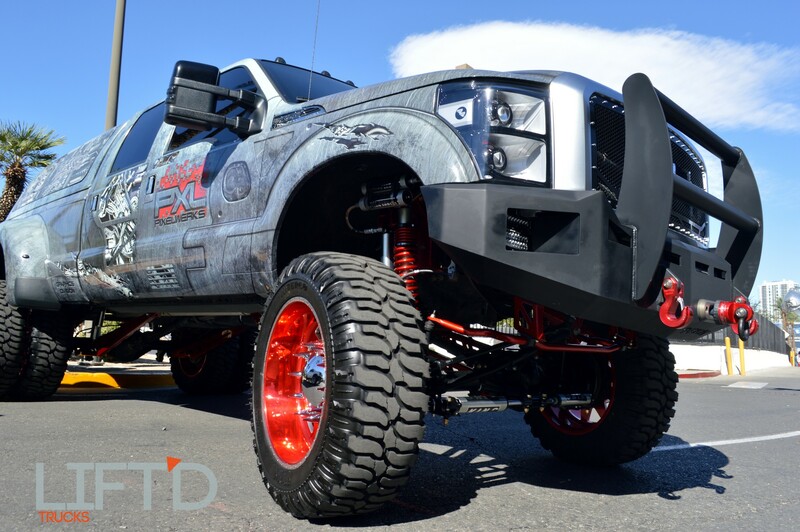 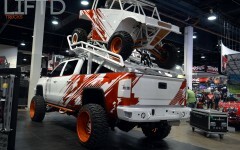 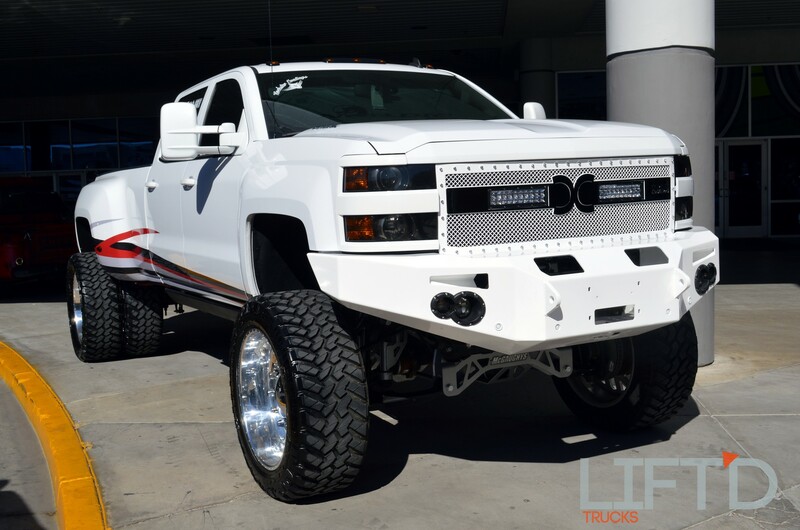 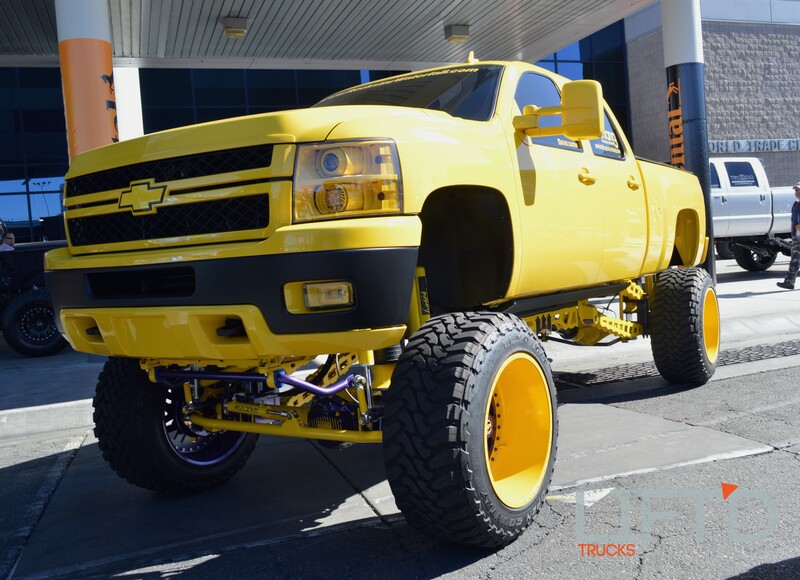 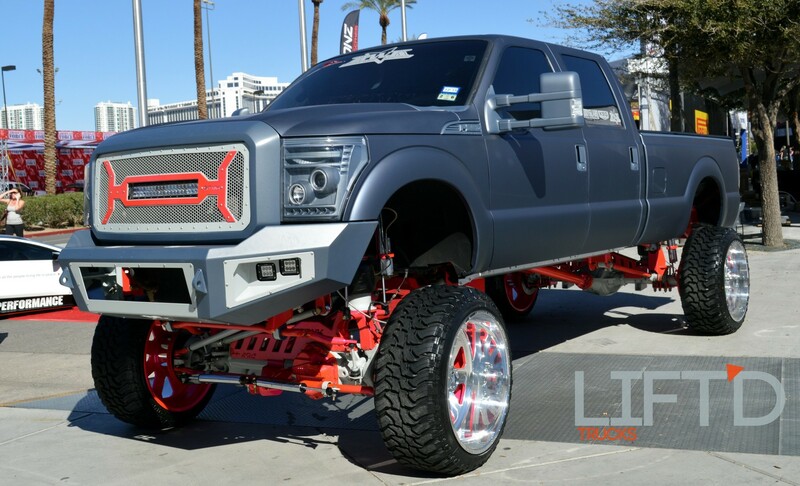 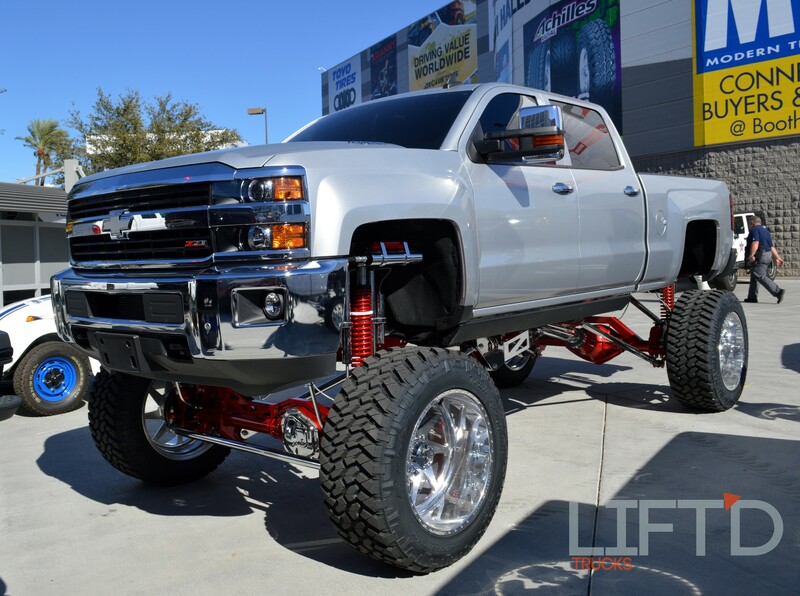 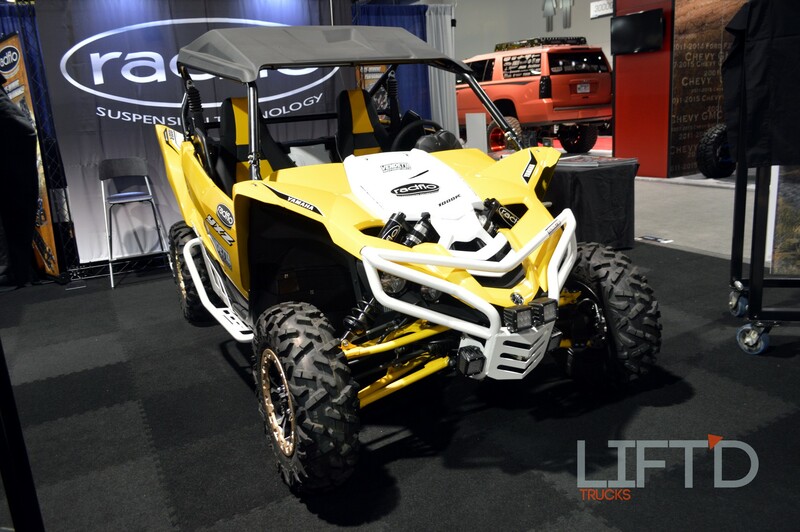 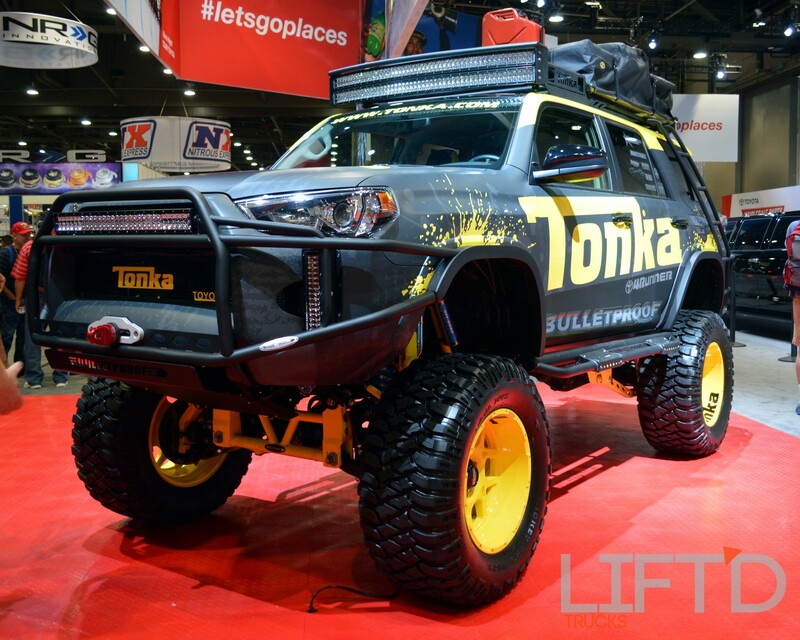 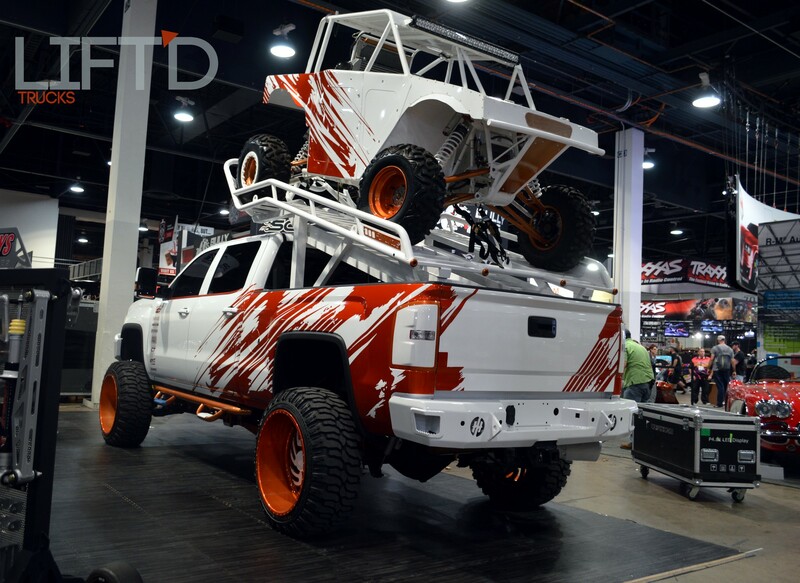 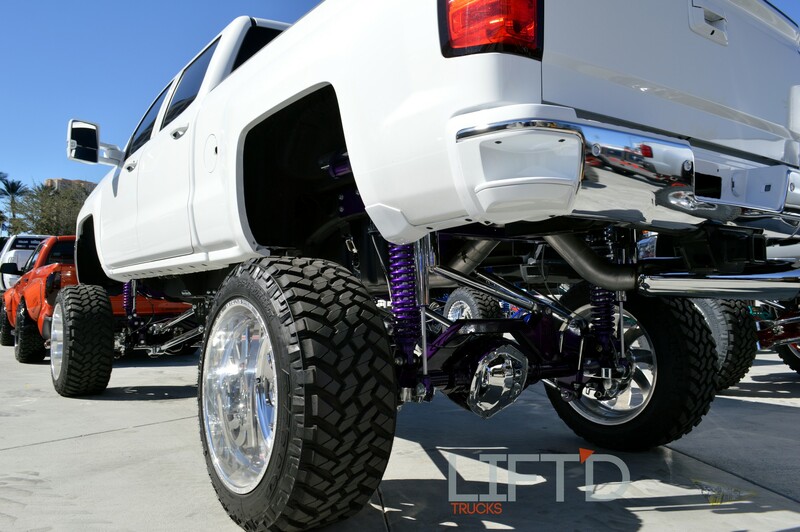 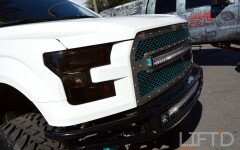 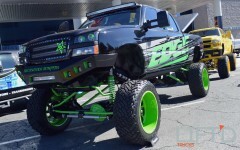 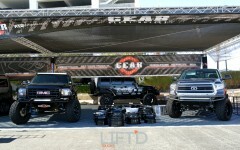 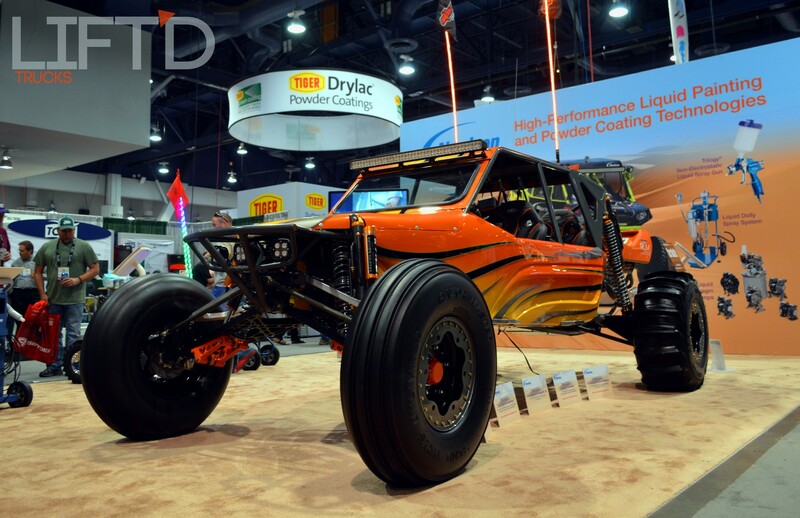 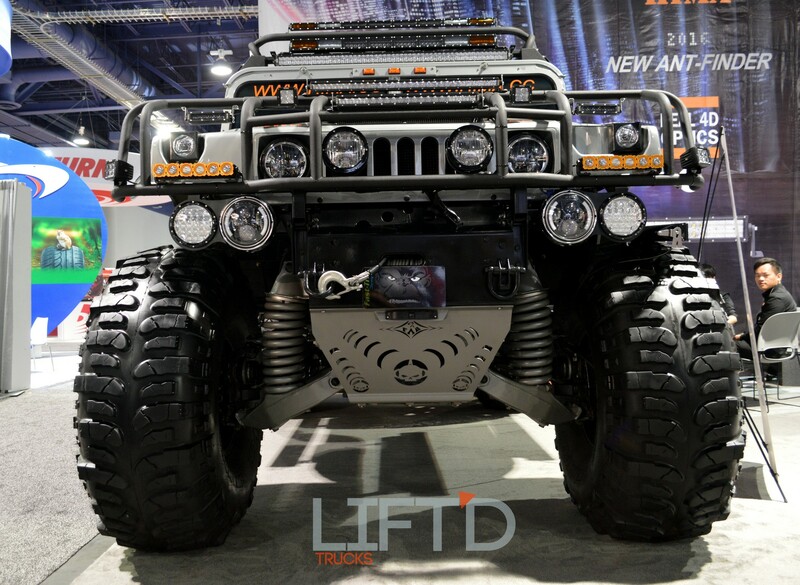 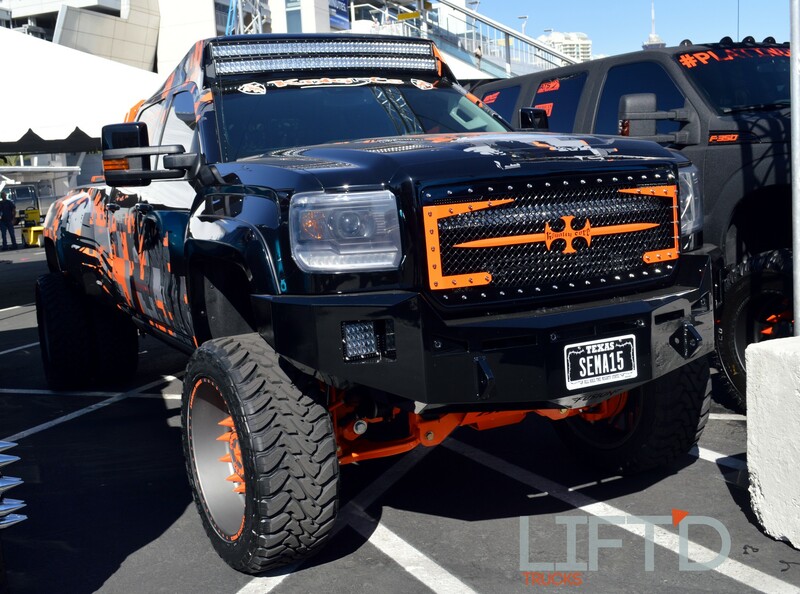 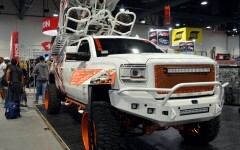 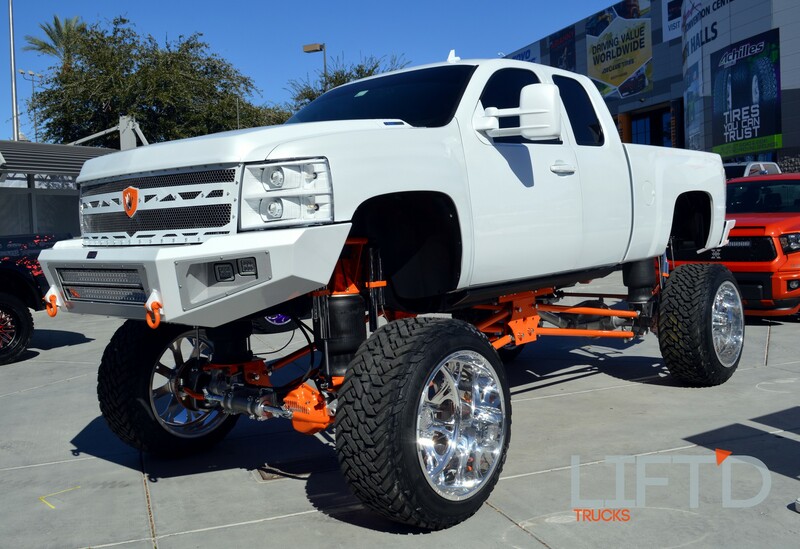 Not only have lifted builds taken over the event this year, some of the biggest builders in the industry have veered from their usual genres in favor of creating some of the most amazing lifted machines we’ve ever laid eyes on. 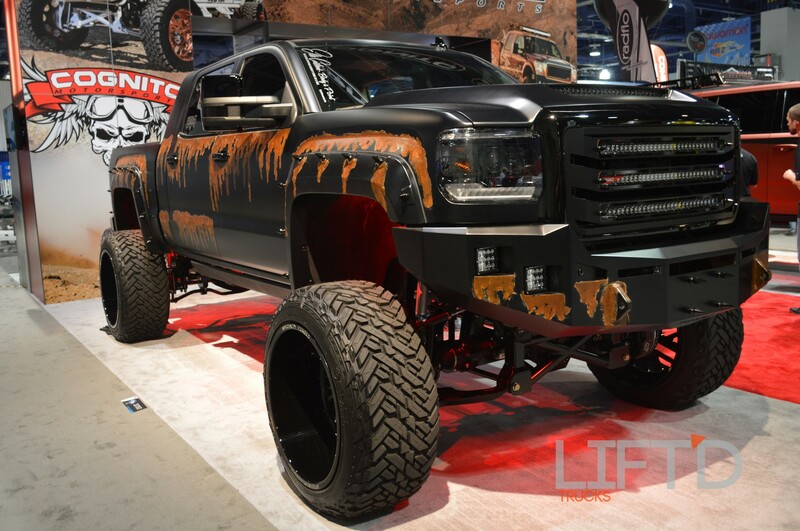 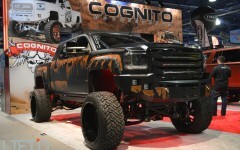 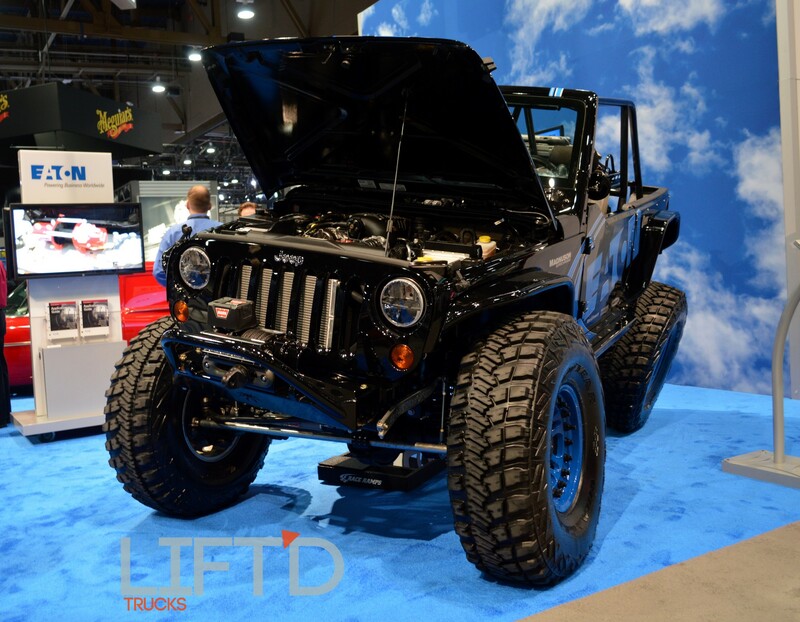 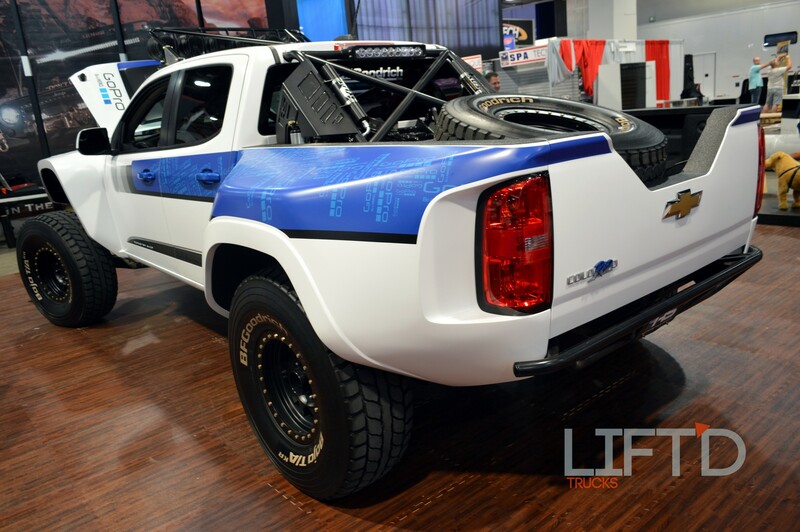 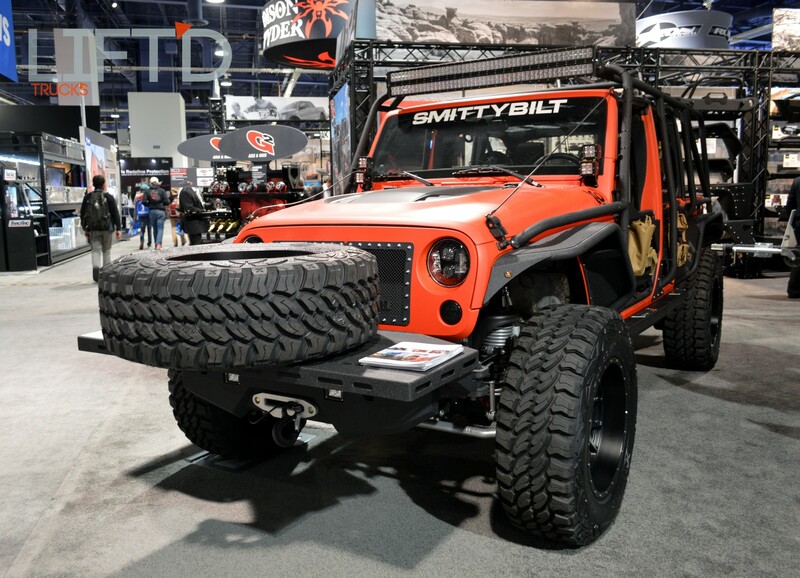 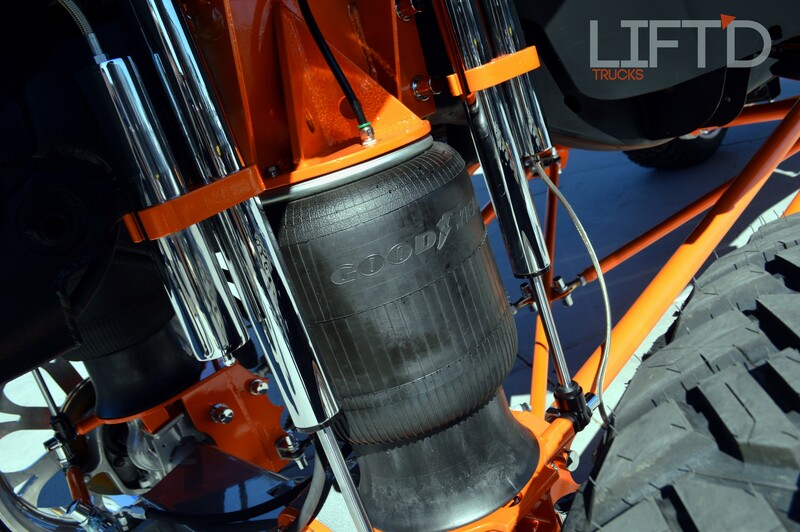 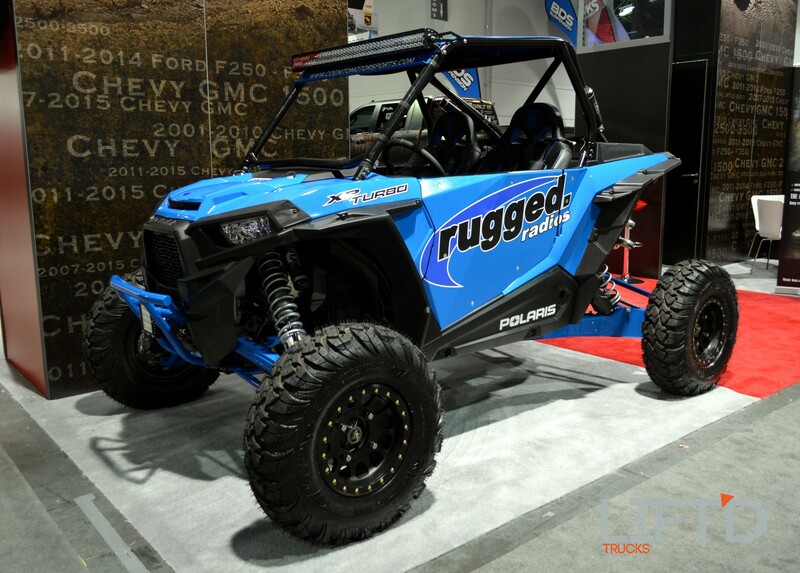 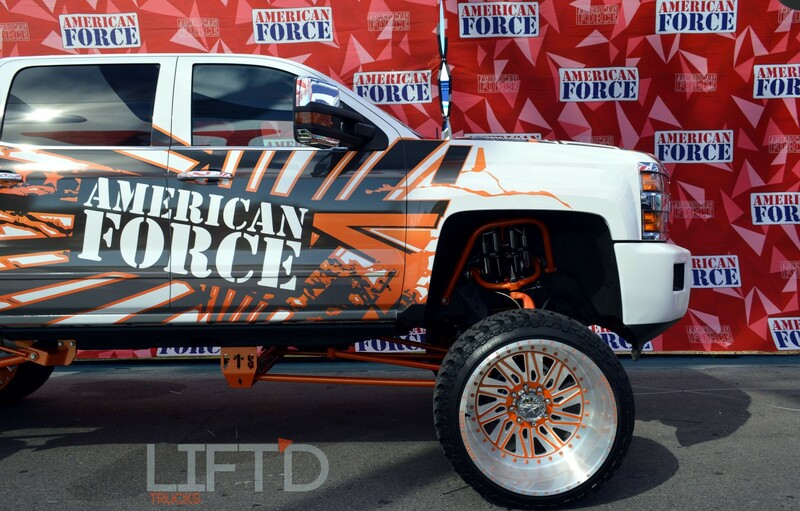 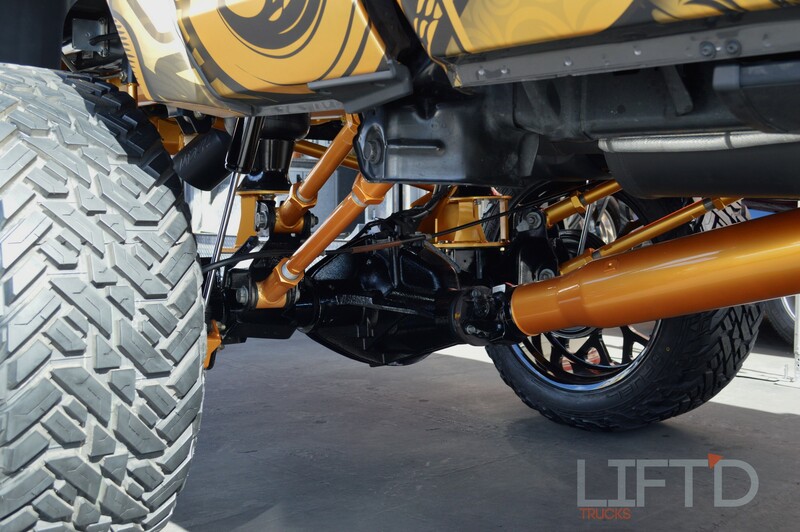 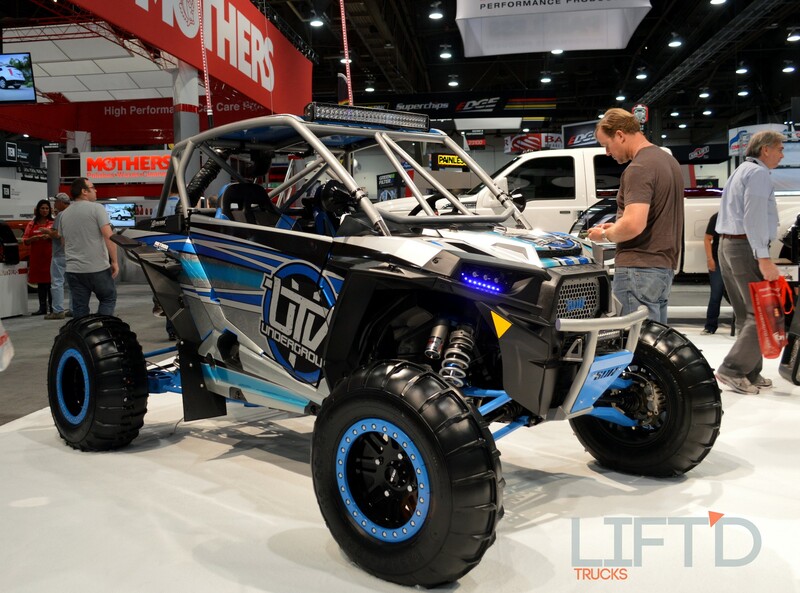 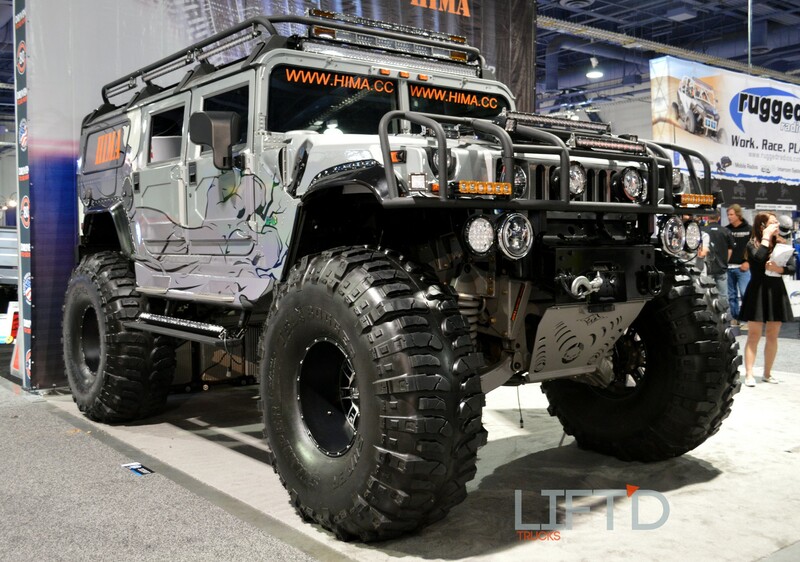 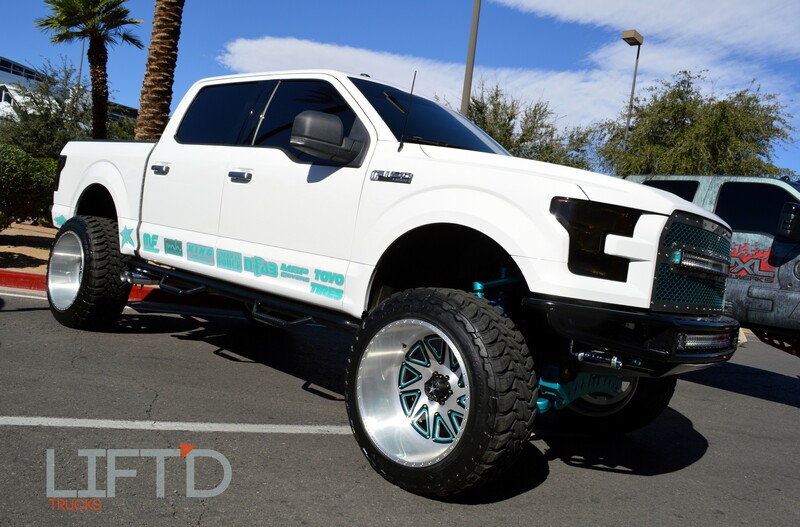 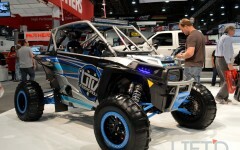 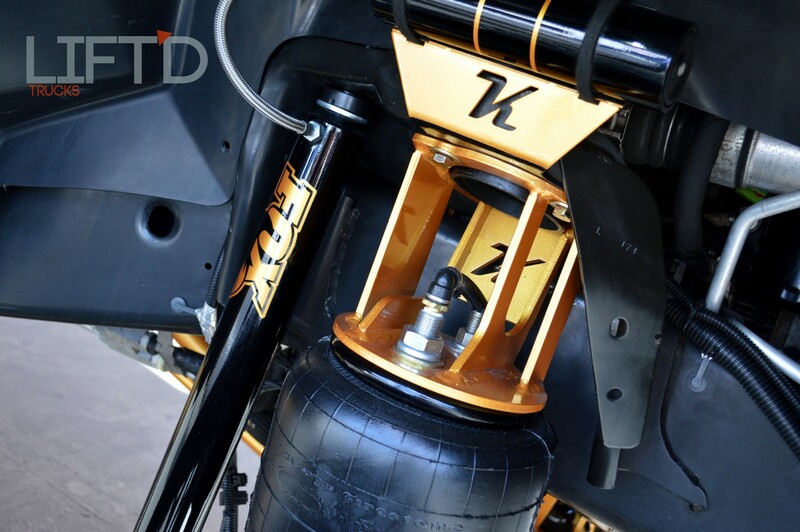 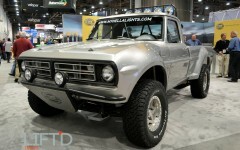 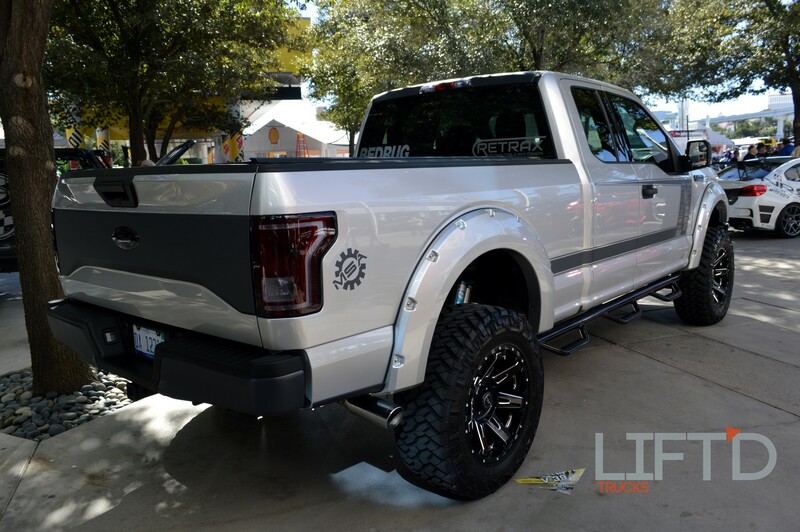 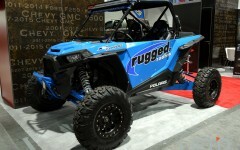 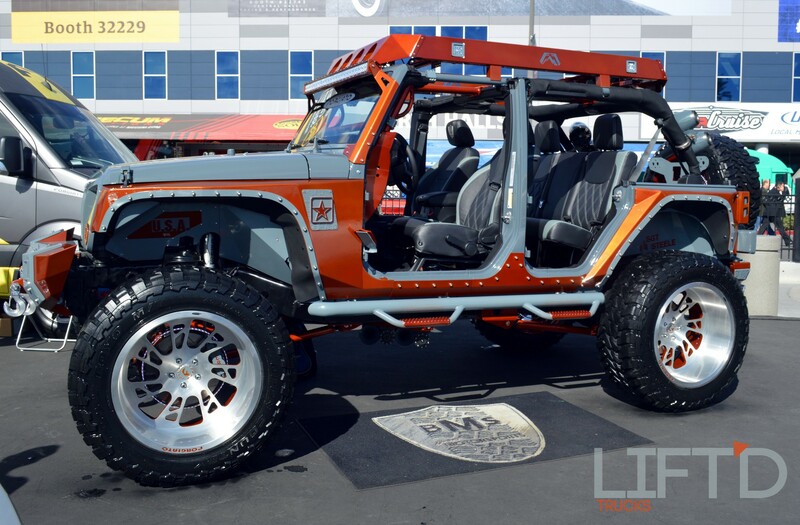 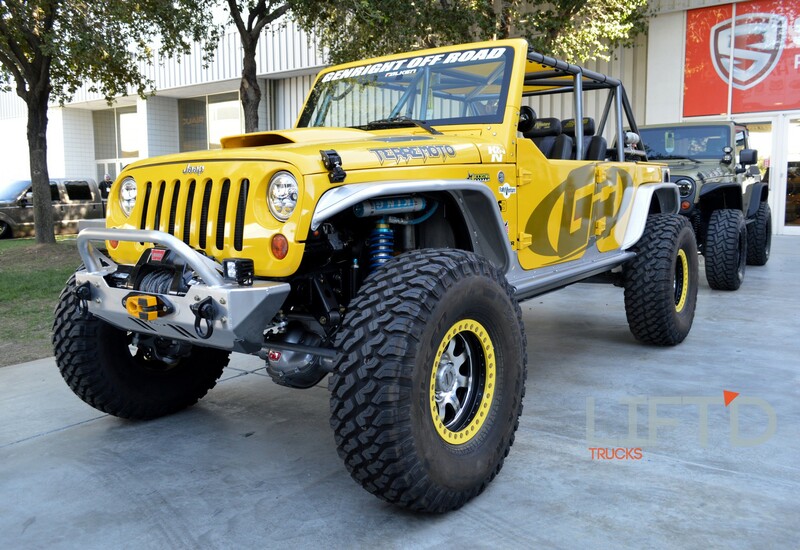 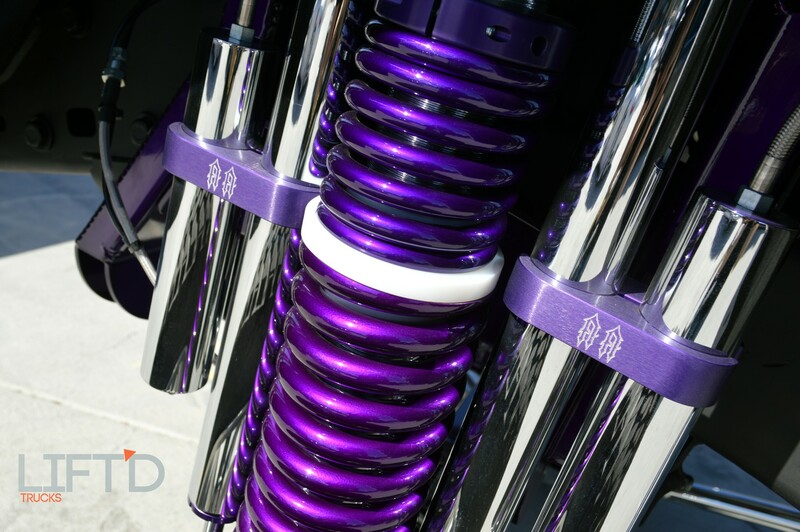 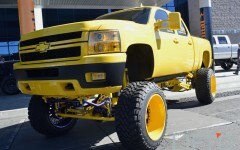 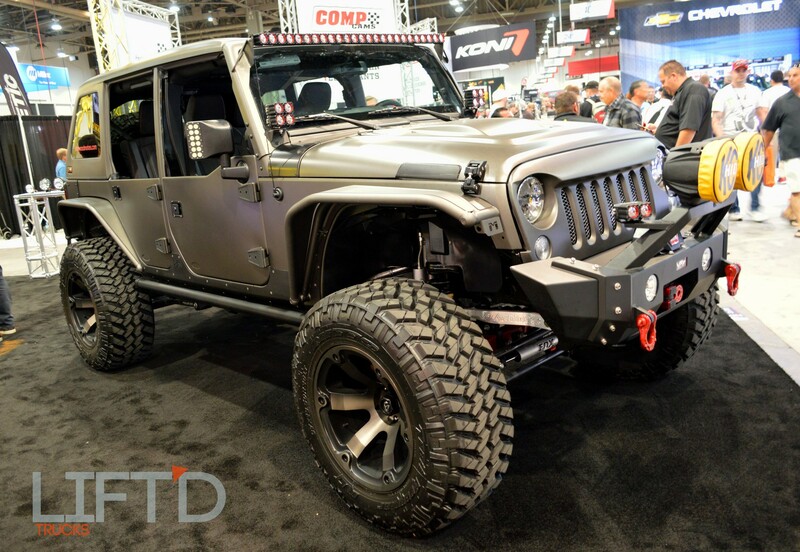 Among the notable lifted rides we’ve seen so far, KEG Media, Cognito Motorsports, McGaughy’s, Five-R Trucks, American Force, Complete Customs, ADA Offroad, and yes, even Roadster Shop have come out swinging with the latest and greatest in lifted style. 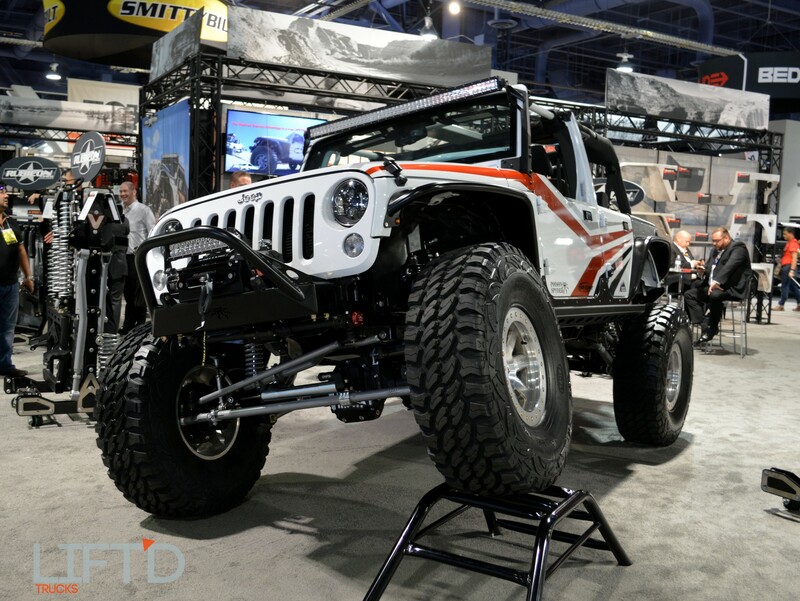 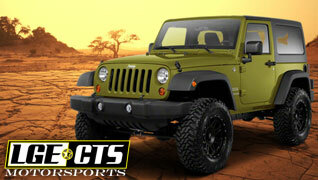 Everywhere you look, there’s one build even bigger and more detailed than the next. 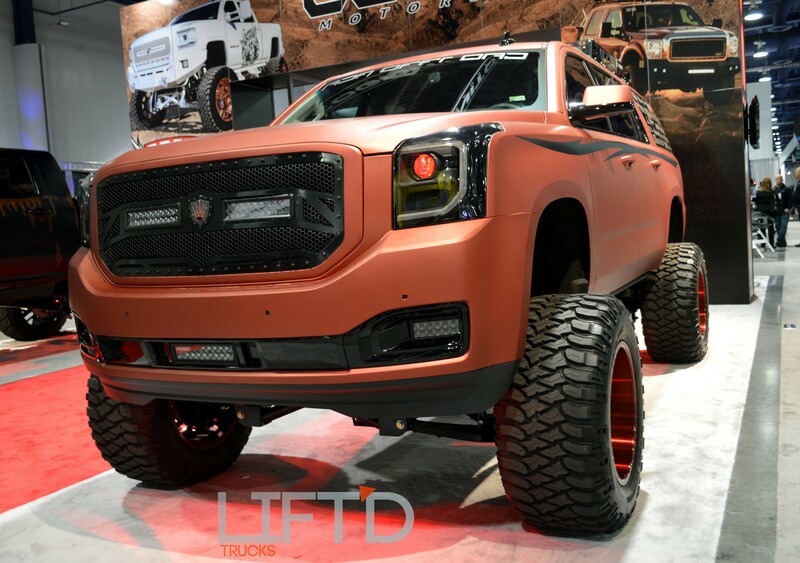 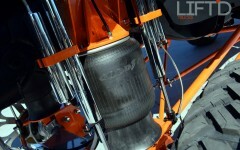 How we’re ever going to choose our Lift’d Trucks Top 10 from this year’s show is already proving to be a difficult task. 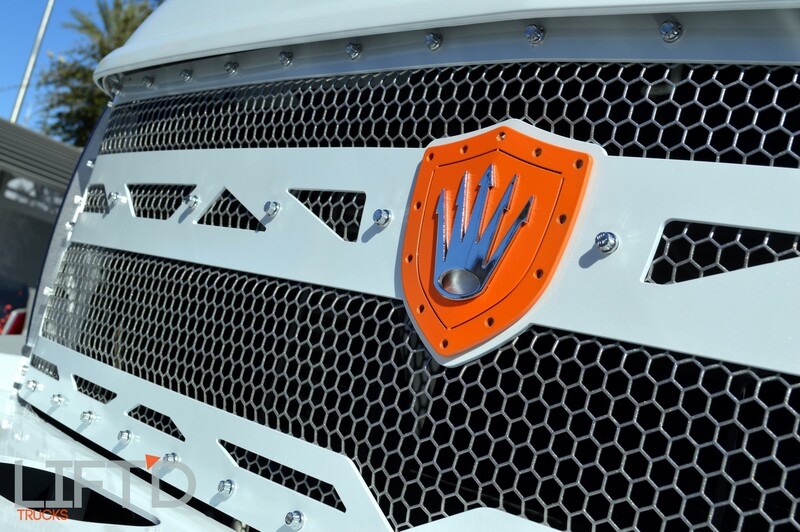 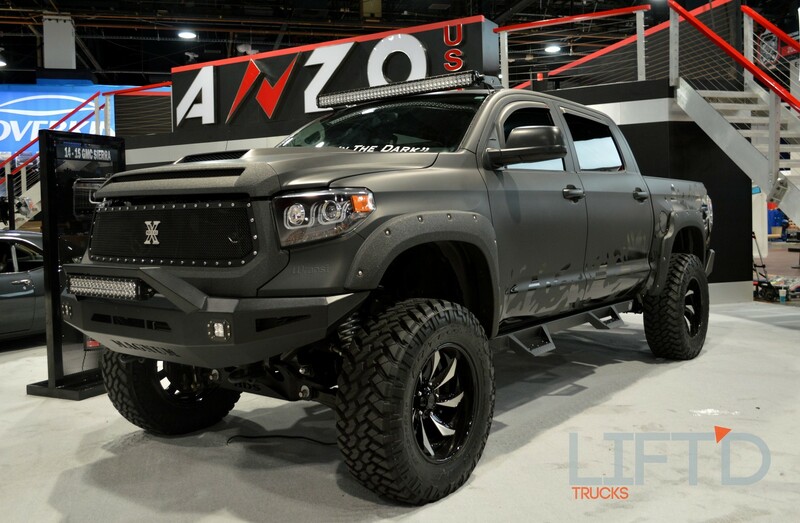 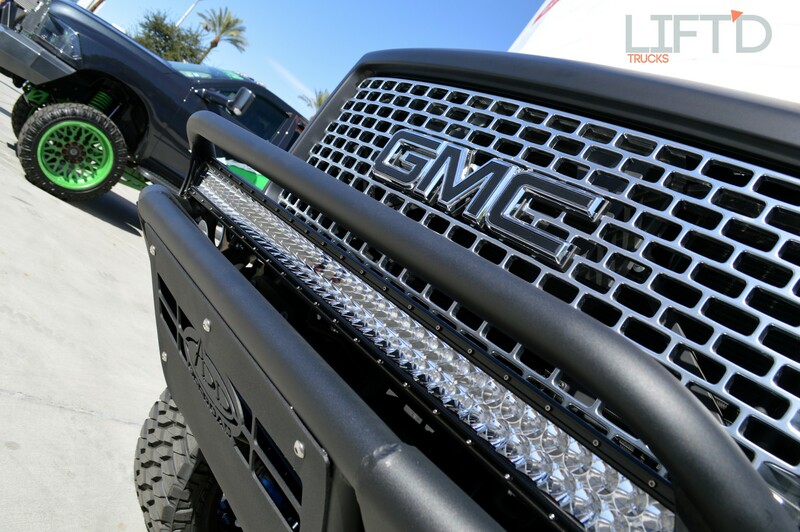 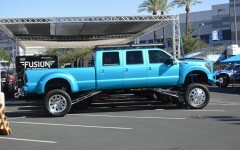 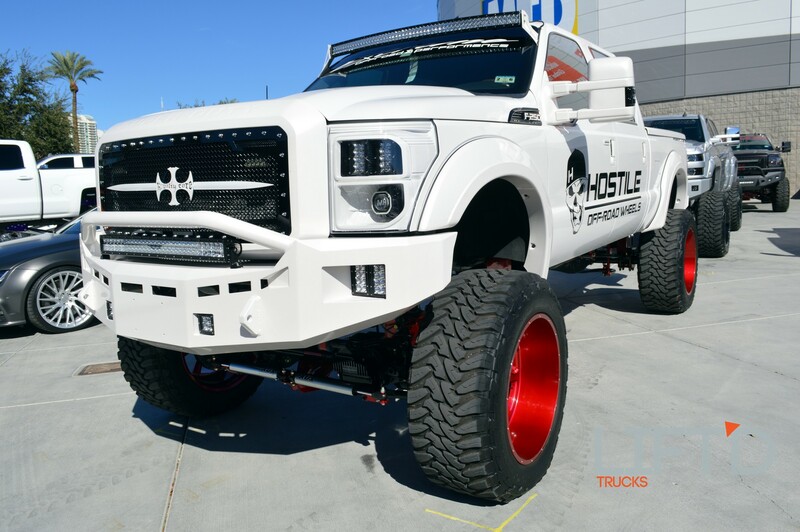 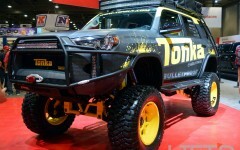 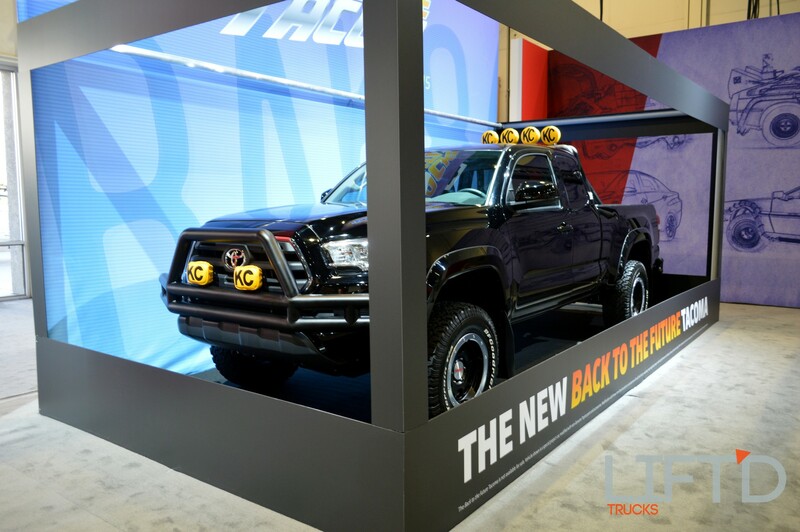 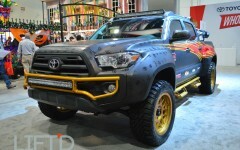 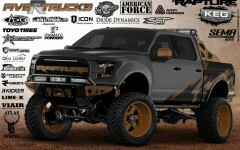 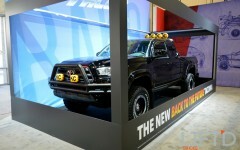 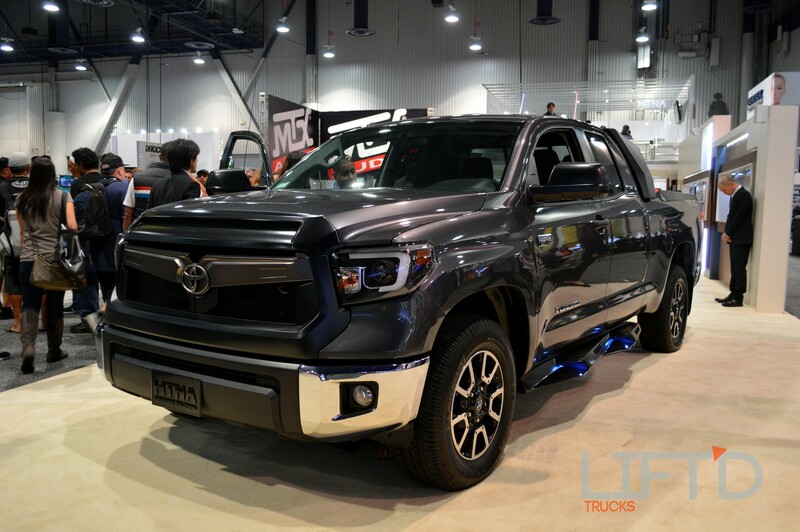 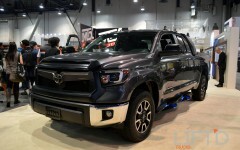 While there are countless builders that have poured heart, soul, time, and money into their own creations, major manufacturers like Ford, Chevrolet and Toyota have also put some serious thought into their latest feature trucks. 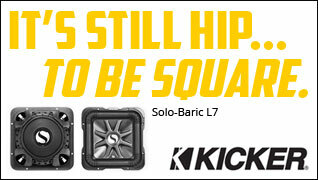 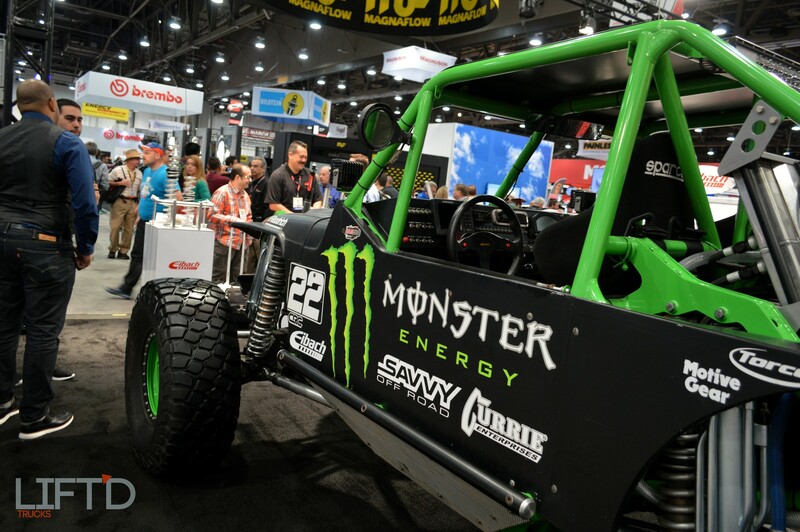 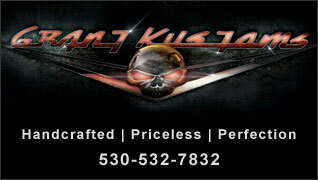 The new year is just around the corner and these manufacturers are showcasing their ever increasing talent and ability to create one-of-a-kind rides from their factory OE platforms with dealer options and shop collaborations to include the best lifted parts and installers right from the dealer floor. We’ve still got a ton of ground to cover at the show and we’ll be bringing you updates along the way. 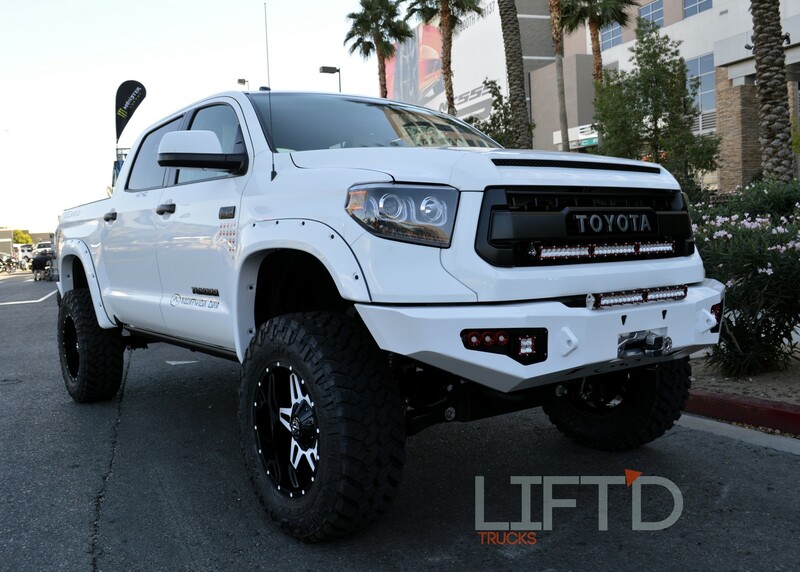 Stay tuned for Day Two coverage coming tomorrow and be sure to check out the gallery below for a look at more of the awesome lifted rides throughout the massive grounds with much more to come!